Complete the frequency distribution table. Drag the red × points to draw the histogram for the data. 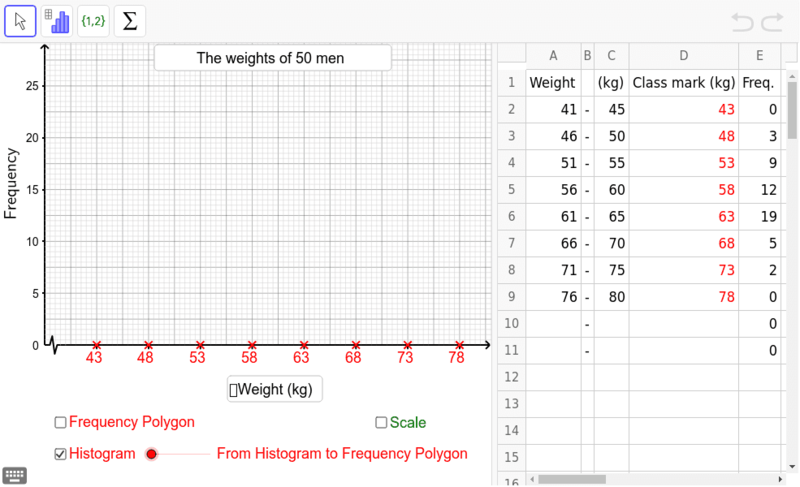 Check the "Frequency Polygon" box to show the frequency polygon. Drag the red point on the slider to see how the area enclosed by the frequency polygon relates to the total area of the bars in the histogram. Input another set of data to construct its frequency polygon.